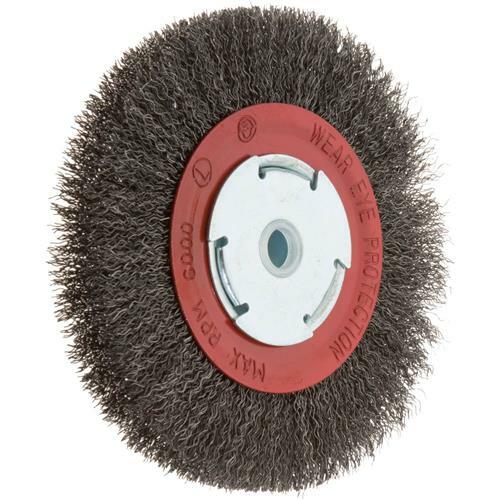 These circular crimped wire brushes are almost twice the thickness of a single section brush, giving more grinding space for removing paint and other coatings from your steel, stainless steel, and other non-ferrous metal work pieces. Use for cleaning tool dies, deburring castings, or even giving a matte finish on metal surfaces. 5/8" arbor hole with 1/2" bushing, 6" diameter x 1" width.